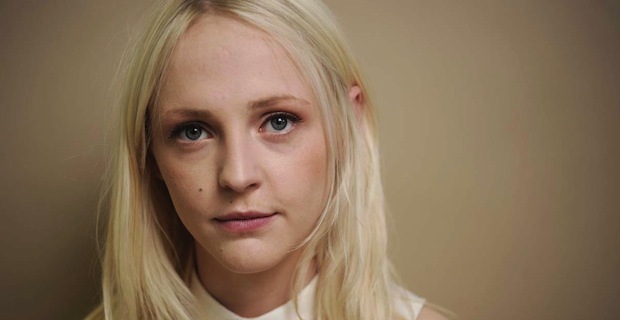 Laura Marling has become a darling of the indie folk scene in the past few years and on this evidence, it’s really not hard to see why. Even for someone of my particular listening tastes, which rarely tend to admit lone indie singer/songwriters, there is something unique and compelling in her music that belies her young age. Once I Was An Eagle is a sprawling masterwork whose length and indulgence may raise some eyebrows given the more succinct layouts of her previous albums, but which feels like a necessarily long and complex adventure. The album is dotted throughout with astonishingly disarming observations about life and love and circumstance, their prescience and power often disguised by the light and breezy nature of her delivery. It is difficult to imagine that someone so young could have so much to say, but Marling puts one in mind of earlier folk icons in that her work seems designed to provoke thought rather than feeling. While her lyrics are startlingly upfront, her singing is more detached, openly contemplating the subjects of the songs without seeking to move its listeners. Once I Was An Eagle will move you at times, but not through emotional singing or manipulative arrangements. Rather, it’ll simply make you think, and through its open and observant take on Marling’s life make you dwell on those experiences which have characterised your own. I love “Devil’s Resting Place.” It stands apart to practically every other song on Once I Was An Eagle, which makes it all the more fitting that it’s given a place just before the mid-album interlude. It’s an abrupt and fantastical departure from the indiscriminate purpose which marks the earlier songs and infused with rich, vibrant, teeming energy. But its mischievous side is far from a sign of resolution. Even as Marling finds momentum in her music, she doesn’t distance herself from the soul-searching which opened the album. “When Were You Happy (And How Long Has That Been)” is a franker attempt to pose the same questions. It’s a sublime evocation of uncertainty, phrased in such a way that the listener can’t tell whether she’s singing for herself or an audience. In this regard, the later songs on Once I Was An Eagle are very interesting. There isn’t a sense of resolution in the traditional sense, but rhythmically and instrumentally they differ enormously from the opening songs. “Saved These Words” and “Little Bird” can be stark and confrontational, but there’s a sense of release to them too. Marling sounds resigned and confident and reflects this in her flourishing choice of arrangements. By contrast, “Take the Night Off” was a hesitant and whispery opening, laying some emphasis on fragility and romanticism. It is sparser and more tender and though the instruments have elements of joy to them, they’re less upfront about it. “I Was An Eagle” seems almost out of place after it, as for all its musical similarities the lyrics are resounding. Marling’s honesty and the sheer uncompromising brutality of her words is admirable to a fault, and she performs them in a beautifully simple and expressive manner. Once I Was An Eagle is perhaps the quietest tour-de-force you’ll hear in a long time, but it is enchanting for that. For an artist who’s barely 23, it’s fascinating to see Marling’s profile and the level of maturity in her writing. Then again, there is an argument to be made that the modern world has made old souls of us all, zealous and wearied seekers of gratification who end up courting disillusionment at the fact that there’s anything still to come past 25. Marling’s album is a testament to all that but also an ode to new ways of thinking for what’s still to come. I can’t recommend this album enough, it’s absolutely divine. Invest in it as soon as you can! Pure genius! There’s not a track on it that isn’t perfectly pitched and placed! Yay so excited to get a hold of it now!